Reduced!!!! 2014 Jeep Wrangler Sahara 4WD 2 Door Hard Top. 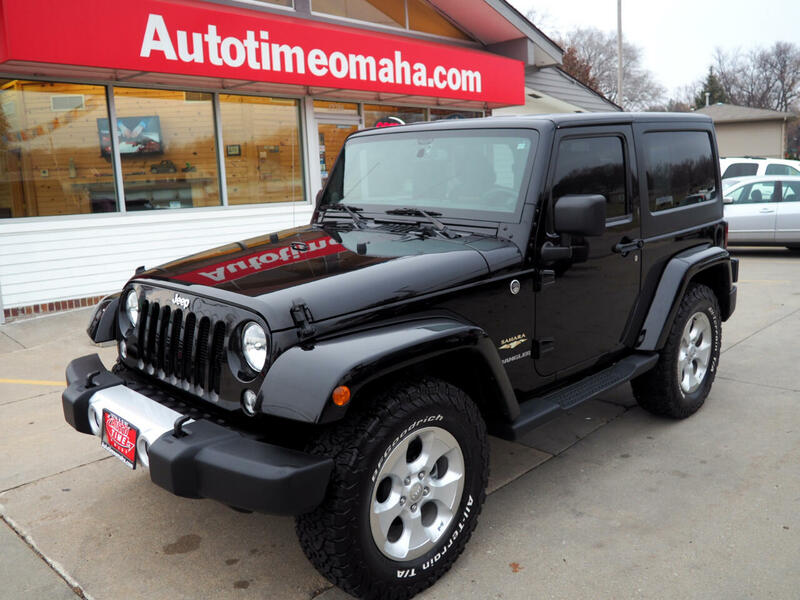 3.6L V6, Sahara package with new 275 Goodrich all terrain T/A tires, 18 inch polished alloy wheels, super low miles, removable freedom top, connectivity group with hands free Bluetooth, remote start, heated mirrors and more. Clean Carfax history, mechanically inspected, serviced, and professionally cleaned. Call (402) 934-8002 to schedule a test drive today!